Journey into Mystery #85 CBCS 3.0 OW-W 1st Loki, Odin, & Asgard, (Thor). Journey into Mystery #85 CBCS 3.0 OW-W-Very Important Marvel Comic from 1962.1st Loki, Odin, & Asgard. Please wait for an invoice so that we may do so if purchasing multiple items. Journey into Mystery #85 CBCS 3.0 OW-W. Very Important Marvel Comic from 1962. 1st Loki, Odin, & Asgard. No Scratches/ or Crack on CBCS Case. Sorry, our items are NOT available for pick-up. No additional information at this time. Showcase #13 CGC 2.5 OW, (1st Mister Element-3rd Silver Age Flash)-DC 1958. Superman #123 CGC 2.5 C-OW 1st Supergirl Tryout-Before Action #252-DC 1958. 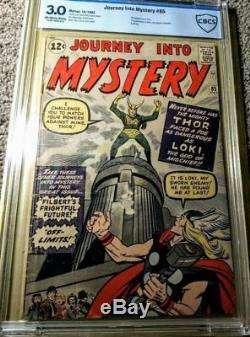 The item "Journey into Mystery #85 CBCS 3.0 OW-W 1st Loki, Odin, & Asgard, (Thor)" is in sale since Monday, November 12, 2018. This item is in the category "Collectibles\Comics\Silver Age (1956-69)\Superhero\Thor". 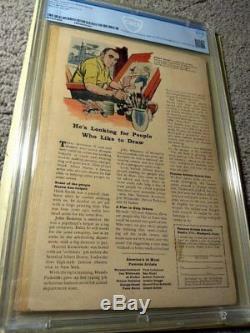 The seller is "dylanuniversecomicbooks" and is located in Great Neck, New York. This item can be shipped to United States.